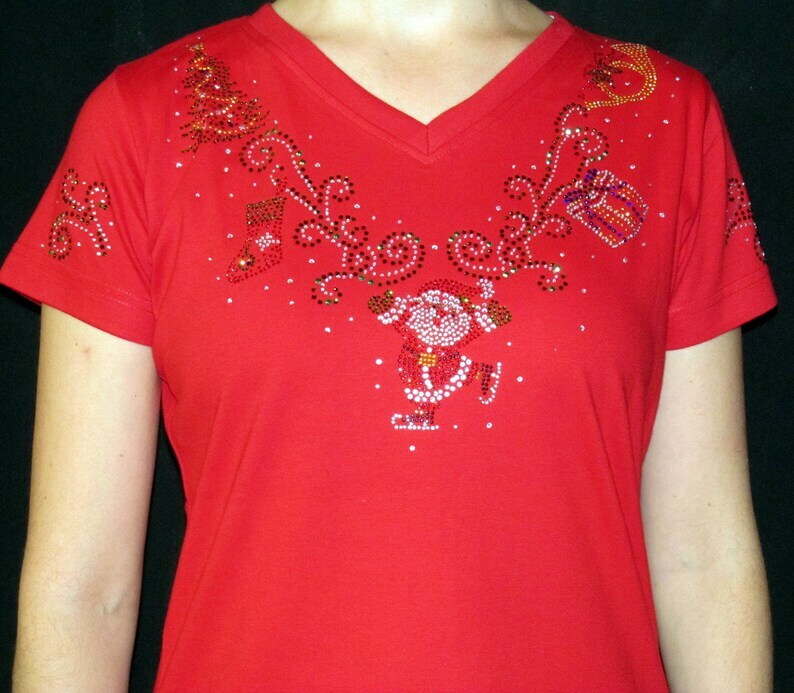 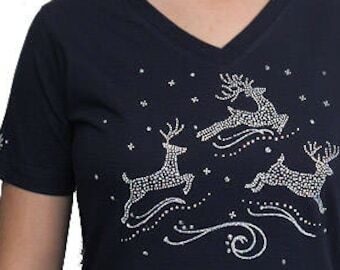 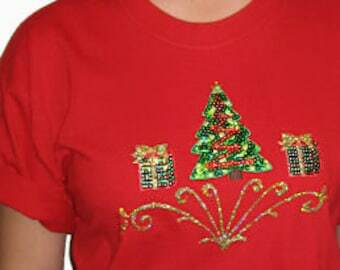 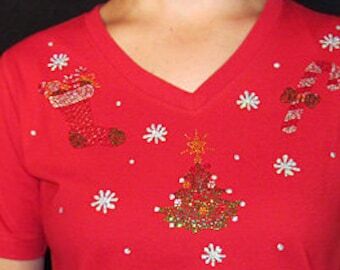 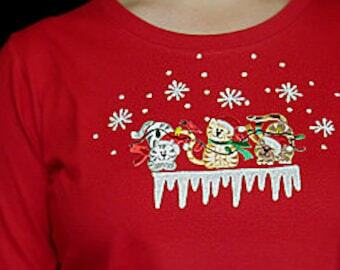 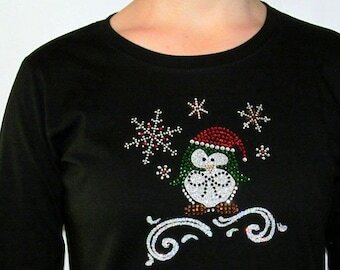 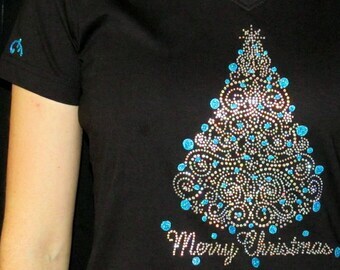 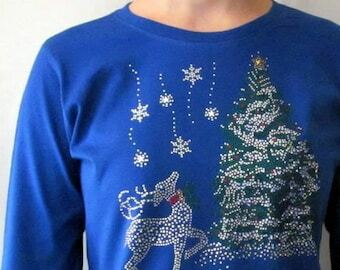 This Rhinestone Christmas Santa shirt is full of holiday cheer! 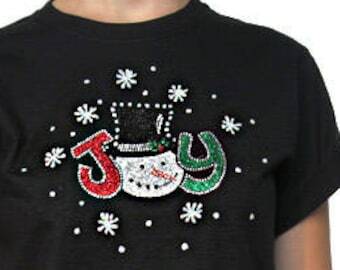 With a stocking, package, horn and Christmas tree, it is full of bling fun! 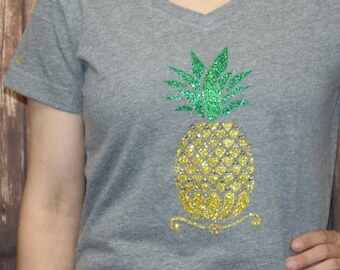 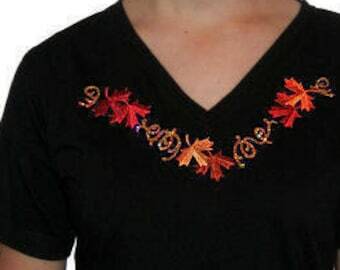 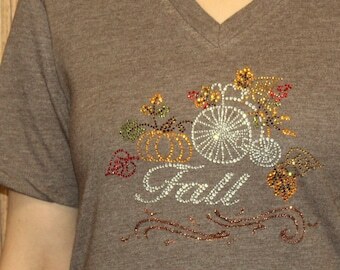 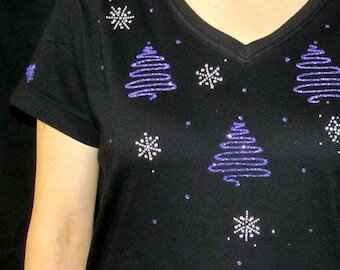 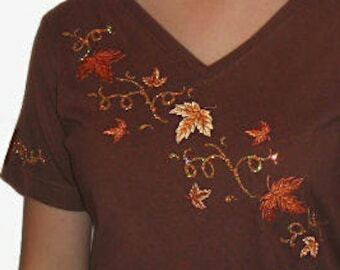 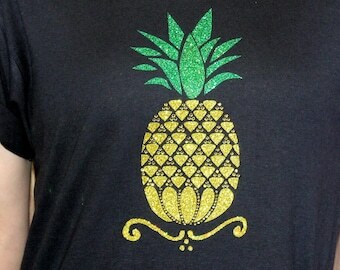 On the short sleeves I embellish the sleeves with a swirl of rhinestone decor! It is pictured on a red 100% Ringspun Cotton Ladies V-neck and Ladies Long Sleeve Crew Shirt.